Pinterest provides many fascinating points for discussion and research. By being active on Pinterest we engage in a process of shortcut identity formation through pre-existing images. It is not merely about collecting images that relate to our perfect life and aspirations, but also having an absolute control over them. The way we neatly arrange image boards contrasts with our busy, often disorganized life style. In that sense Pinterest can have a therapeutic effect; we can collect (images of) things we can’t have in real life, and organize them in a way that would be impossible in our fast-changing environment. Let me focus on one aspect of Pinterest that (p)interests me the most. Scrap-booking, collecting photographs, and cutting out illustrations from magazines have been hobbies engaged in mainly by women. Since Pinterest is a digital extension of such activities, it comes as no surprise that 87% of Pinterest members are female. Yet, when I first visited the site I was surprised by the amount of cute, girly, and feminine photos. Especially in the age of feminist movements and focus on female self-sufficiency, I did not expect such a display of fascination by the old-fashioned and the traditional. Is Pinterest a testimony of a growing anti-feminist trend? Are young women coming back to their traditional roles in society? 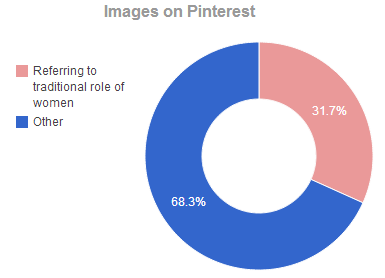 In order to find out whether the majority of content on Pinterest does in fact refer to traditional roles of women, I have analyzed a sample of images (pins). I have selected three random samples of images in the course of three days. The images I obtained through Image Scraper were the latest ones pinned and included in the Popular category. I was hesitating between one of the two categories: Popular and Everything, simply because the latter seems less selective. However, I wish to analyze a particular trend in society, and trends are reflected in popularity of certain ideas; in this case images. Therefore, I’ve decided to analyze the most popular pins. The Popular section, just like the Everything section, takes into account images from all categories, not giving privilege to female-related ones such as Weddings or Hair & Beauty. I was not logged in during the scraping process, so that the individual preferences linked to my account would not influence the selection. 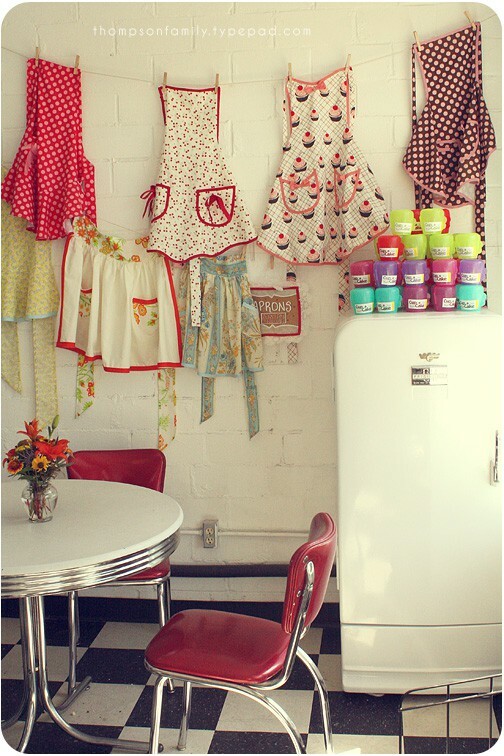 House: house and garden ornaments, Do It Yourself decorations, cleaning tips, cooking and baking tips. Marriage: husband, wedding planning, engagement, bridal shower, bachelorette party. Family: children, pregnancy, baby shower, Do It Yourself children clothing and toys. The results were surprising, and they did not confirm my hypothesis that the majority of content on Pinterest refers to a traditionalist discourse. Only 86 out of 271 images could be associated with a traditional female position in society. The remaining 185 images were either not gender- related, or were targeted at women but did not display traditionalist tendencies. Nonetheless, one can still argue that the 31,7 % of the images belonging to a traditionalist discourse still mark a visible and research-worthy trend. In order to define the categories more specifically, such a research would have to be based on theory on feminist and traditionalist discourses, as well as on pictorial semiotics. There may be some discursive problems with this quick study. Traditional roles as described by house, marriage and family aren’t good indicators (to me) of anti-feminist behavior. For one, the site is often used as a planning mechanism, so it wouldn’t indicate the approach. For instance, wedding planning as a category is assuming straight women based on the larger female/male ratio. But at an elemental level, this provides a reinforcement of the concerns that came out of the #sorryfeminists trending last week. Is a woman not also a feminist if she’s buying and planning for a home? Similarly if she’s planning for a family? Or a wedding? There’s something to be said about intersectionality and inclusion in the traditional/non-traditional definition within the feminist movement. As a gay male on pinterest, my levels would occasionally indicate me as traditional and anti-feminist based on these conclusions, but my seeking a family, house, or wedding is occasionally contested in homophobic circles. 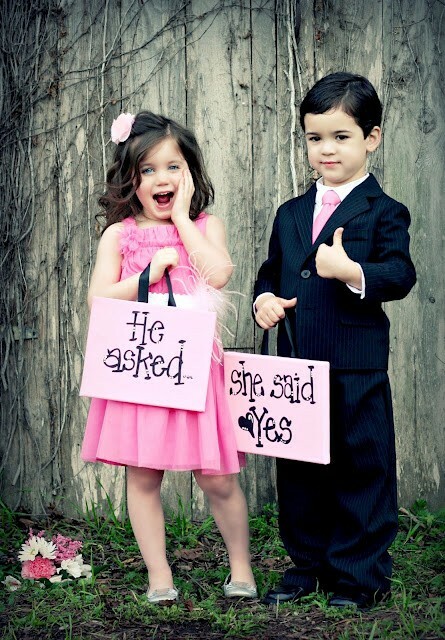 Seemingly questioning my pinterest-as-future-planning mindset of being able to have such things in the future.